Uruguay was once the most stable democracy in Latin America, but in 1973 the military seized power for the first time. Political parties did not disappear, however, even though they were made illegal. 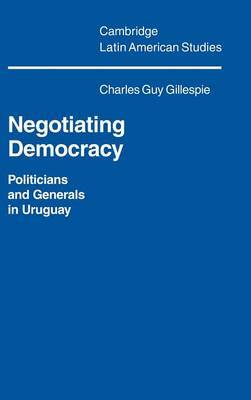 By the 1980s Uruguay's generals were anxious to find a way to withdraw from power. Yet they continued to insist on certain guarantees as the price for holding elections. The issue of whether to make any concessions to the military came to divide the country's three major parties - the Blancos, the Colorados, and the Left. Nevertheless, the last two parties eventually did agree to a pact in July 1984. The military agreed to return to the barracks and the politicians made an implicit commitment not to prosecute them for their past human rights violations.